Vogler Sheet Metal is proud to offer 10 to 35 year full labor and material system warranties as a certified Master Roofing Contractor. Vogler Sheet metal knows commercial roofing. We are certified with the industry’s leading manufactures in every category of roofing so we can provide the best roof for your needs. We have been operating for over 110 years and have over 250 years collective experience on the staff. 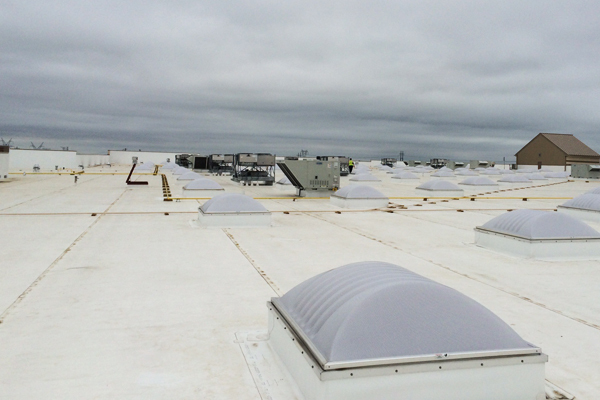 We have an understanding of the complexities of providing the absolute best in industry commercial roofing installations, while ensuring minimal or no impact on your daily operations. Vogler Sheet Metal is your roofer of choice whether it be for commercial roof replacement services or new construction. The most common metal roofing products used in commercial use are the 2” mechanical lock and the 1.75” snap lock standing seam panels. These are offered in Kynar 500 or Hylar 5000 over G90 galvanized, galvalume, and aluminum substrates. 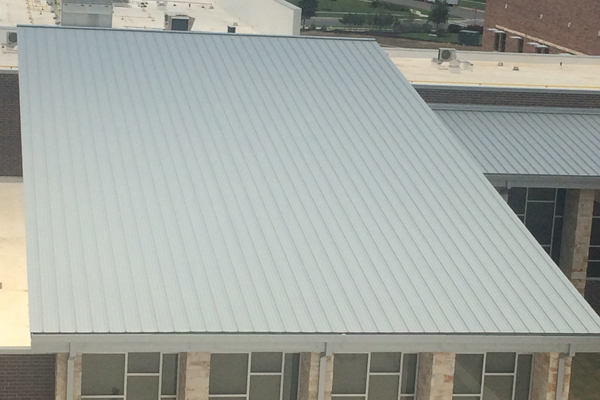 Standing seam systems are capable of lasting well over 50 years with proper installation and maintenance. Single ply roofs offer great performance at a lesser cost of modified bitumen and built up roof systems along with greater energy efficiency. The three primary types of single ply membranes are PVC, TPO, and EPDM. PVC and TPO are recommended in southern climates and can offer up to 30 year full system warranties. 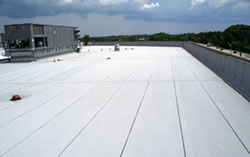 These roof systems are made up of asphalt that has been modified with a polymer to create plastic or rubber like properties. The modifiers provide increased resistance to brittleness, cold temperatures and increased elasticity and strength. The most common modifiers are APP (Atactic Polypropylene) and SBS (Styrene Butadiene Styrene). 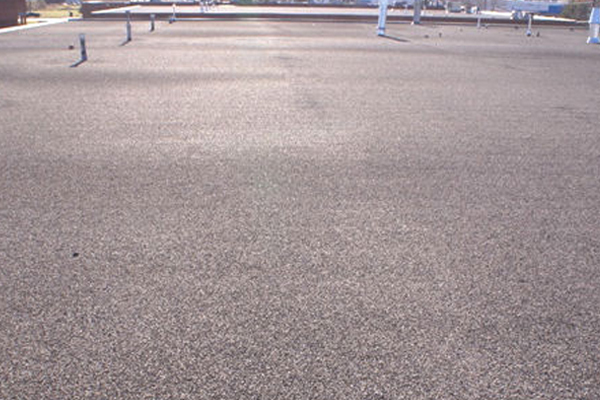 Built up roofs are one of the oldest and most reliable low slope roof systems. These systems have been used for over 100 years and are proven to perform well in extreme temperatures. 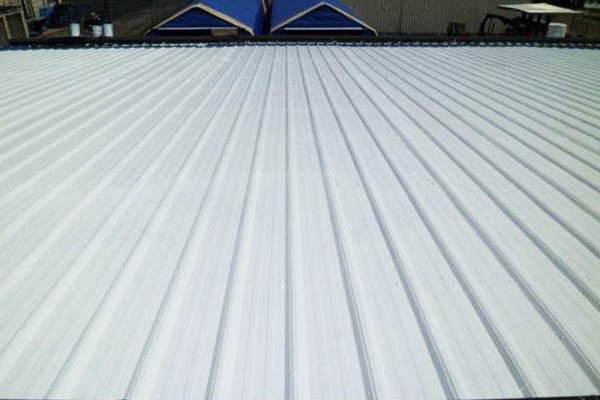 Coatings can be a solution to revamping old R-panel or other exposed fastener metal roofs.